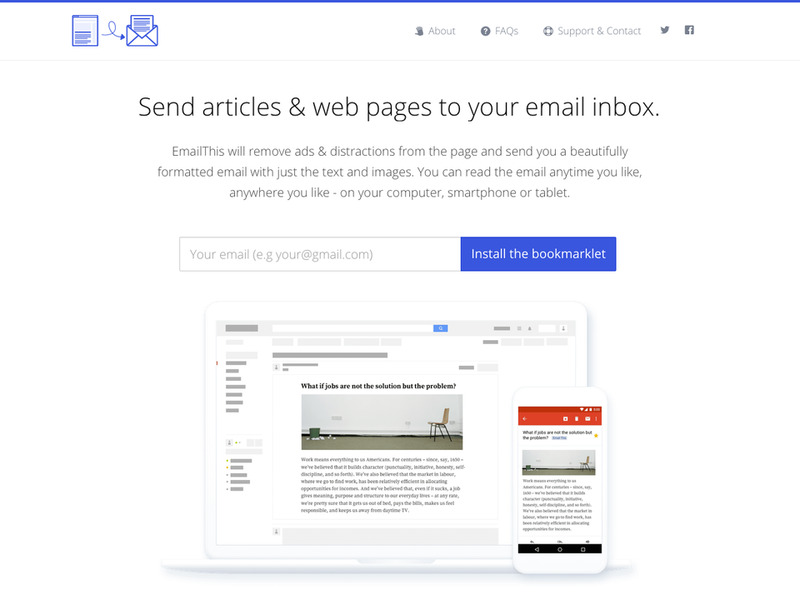 Send web pages & articles to your email inbox. Found a great article but don’t have time to read it now? Using it is really simple, drag our bookmarklet to your browser's Bookmarks Bar. Then when you find an interesting article, click the bookmarklet. That's it! Go ahead, catch up on your reading list.